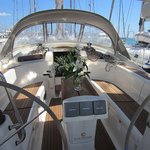 Allegra is a name of yacht Bavaria 50 Cruiser ,which was produced in 2008. 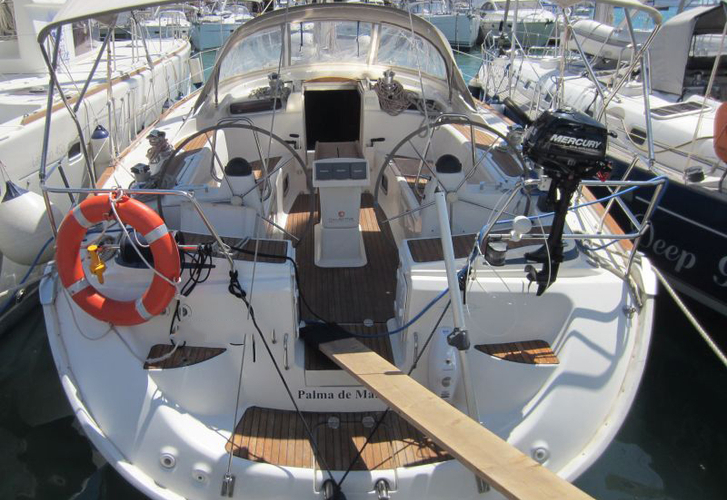 You can rent her from marina Palma de Mallorca in the region close to Palma De Mallorca. 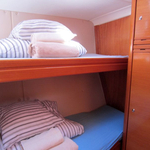 Allegra is equipped with 11 beds. 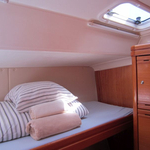 Beds on the vessel are arranged in 11 10+1 scheme. 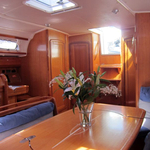 5 cabins are placed inside the yacht Allegra. 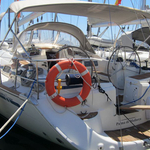 See different boats following this link: Yacht charter Palma De Mallorca. 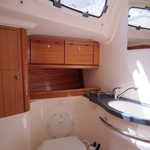 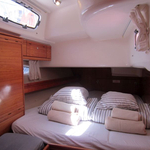 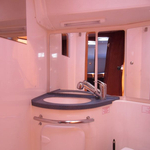 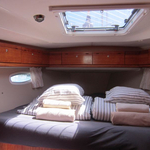 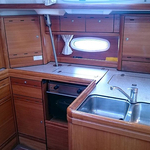 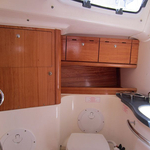 Guests can feel comfortable on this sailing boat , because there are 3 WCs for their disposal. 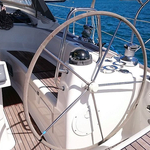 With 270.00 l l. in fuel tank you can sail really far and still be independent because of 700.00 l liters in water container. 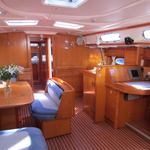 Allegra is equipped with engine VolvoTDM22 54.9hp. 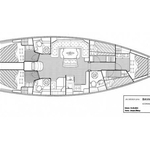 Boat's dimensions are: lenght overall - 14.99 meters , width - 4.55 m and 1.85 meters of depth. 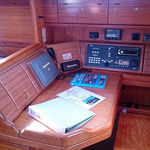 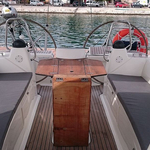 On the yacht you will find following equipment: Bow thruster, Heating, Radio cd mp3, Furling mainsail, Anchor electric windlass, Bimini top, Dinghy, Gps plotter. . Security caution is 2500.00 EUR. 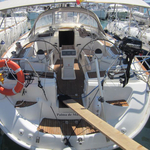 In our search engine you can effortlessly check avalailability of vessel Allegra from Palma de Mallorca here: Yacht charter Balearics.